Sahaja is not merely a physical place, Sahaja is your natural state. All beings come to rest here in the heart of hearts itself, it is your place. Welcome home! 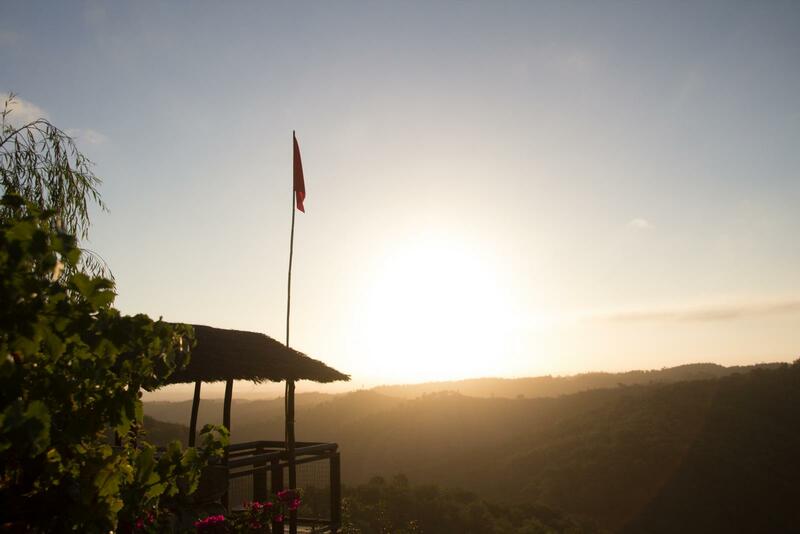 Monte Sahaja is a living ashram, a haven for seekers of Truth drawn towards spiritual awakening. Sahaja is the home of Mooji and the spiritual home of the Sangha. The naturalness and profundity of Moojibaba’s unconditional love and wisdom pervade the entire land, and Sahaja itself reflects this sacredness, purity and simplicity. Outwardly, it may appear like just another beautiful, peaceful place. However, the real magnificence of Sahaja is the opportunity to experience and receive a living Master’s grace, presence and guidance in the inner work of awakening to our original nature. Monte Sahaja is not a traditional ashram. For some people, it is more like a monastery; for others it is a retreat centre or a place of pilgrimage or a temple, but no word really defines what Monte Sahaja is. It doesn’t fit into any classification. The word ‘Sahaja’ means the natural state of Being. Monte Sahaja is a sacred place dedicated to supporting true seekers who deeply aspire for liberation from the grip of ego identity. It is a rare place in this world as it is entirely dedicated to the complete realisation of the Self. Mooji’s lineage is Advaita, the ancient path of non-duality, which teaches that our true nature is one with the pure awareness that is the indivisible reality. Through his intuitive and direct approach, Moojibaba imparts this understanding as a living experience with great immediacy and accessibility to seekers of Truth. Awakening to our real nature does not mean we are to acquire something new, but rather that we must discover within ourselves that which is timelessly pure and in harmony with God. Therefore, there is no need to renounce one’s family, worldly duties, ambitions, religion or any other human expression. It is this very universality, simplicity and naturalness which bring people from all over the world to sit with Moojibaba. In Monte Sahaja, silence and inner focus is the prevailing climate regardless of the daily activities engaged in. Throughout a typical ashram day there is time and space for contemplation, silent sitting, chanting, guided meditations, and other group activities such as laughing yoga or bhajans may also be offered. Occasionally, scheduled and spontaneous Satsangs are offered by Moojibaba, and we all come together for this sacred time. Satsang is also imbibed through the vibrant and potent energy field that permeates all of Sahaja. Monte Sahaja is situated in the hilly region of Alentejo in southern Portugal. Its varied terrain offers many beautiful spaces to explore, such as small ponds, hidden paths and vistas, and quiet places for meditation and contemplation. There are some steep hills and valleys, which can feel quite demanding. However, many people experience an amazing increase in fitness in a relatively short span of time. Springtime at Monte Sahaja is a glorious season where wildflowers flourish profusely over the savanna-like landscape. There are also many Olive trees, Cork Oaks, Medronhos, Carobs and Eucalyptus trees on the land and in the surrounding area. The fresh springtime breeze is often fragranced by an amazing palette of wild and traditional flowers and the smell of Eucalyptus trees. Moojibaba enjoys this time of the year very much. During the summer months, Alentejo becomes very hot and the lush landscape of spring and early summer begins turning in colour to raw sienna and umber. Some say they are reminded of the African Serengeti or certain regions of Australia. Alentejanos are well used to the destructive wildfires that are easily started during the driest months. Monte Sahaja fully supports and complies with the local and regional efforts to keep fires to a minimum. We also endeavour to conserve water wherever we can. We fully appreciate the natural urge to come to Monte Sahaja, the home and ashram of Moojibaba. It is possible for those who are deeply immersed in Satsang with Moojibaba and who have attended at least one retreat (physically or online) to apply to visit Monte Sahaja in a variety of ways. Regardless of the type of visit, everyone must apply and receive confirmation from Monte Sahaja that it is possible to come. Monte Sahaja cannot accommodate drop-ins or casual visitors at any time. If you wish to visit Monte Sahaja while staying in the surrounding area, you need to apply and receive confirmation before booking your accommodation. Monte Sahaja cannot accommodate drop-ins or casual visitors at any time. There are several periods throughout the year where it is possible to stay at Monte Sahaja for 7-10 days. The next Guest Stay will be from 20 - 28 May. It is essential to apply and receive confirmation that it is possible to come. Click here for more information, application forms and closing dates for Guest Stays. During the Guest Stay, it is also possible to visit Monte Sahaja and have the opportunity to fully participate in the ashram program while staying in the surrounding area. The next day visiting periods will be 20 - 28 May. It is essential to apply and receive confirmation that it is possible to come. Click here for more information, application forms and closing dates for visiting Sahaja while staying in the area. There are some spaces to participate in an extended program at Monte Sahaja. The extended programs are for those who feel a deep resonance with Satsang and who have previously visited Monte Sahaja or attended a retreat or intensive with Moojibaba. It is essential to apply and receive confirmation that it is possible to come. Click here for more information and application forms for the extended programs. 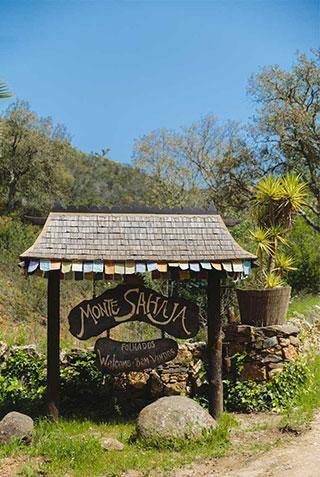 While children are very much loved by Mooji and the Sangha, it is not possible to visit Monte Sahaja with children. 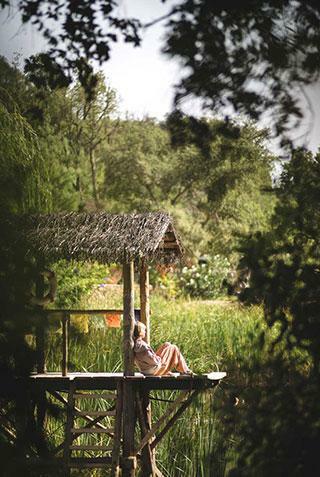 Monte Sahaja is dedicated to self-discovery and we have found over the years that the atmosphere at Monte Sahaja is one of introspection and meditation and is not always suitable for children. Some children who genuinely have a connection with Mooji, and are themselves naturally drawn to Satsang, may occasionally be able to visit under the supervision of their parents. This calling and wish to be in Satsang must genuinely come from the child. As with all visits to Sahaja, applications must be made in advance.